Of all the things agreeable about Goa, perhaps the most remarkable is its rather effortless coolness, and when you are here holidaying or as in the case of Raahil and Pia getting married, you soak in that breezy aura too. 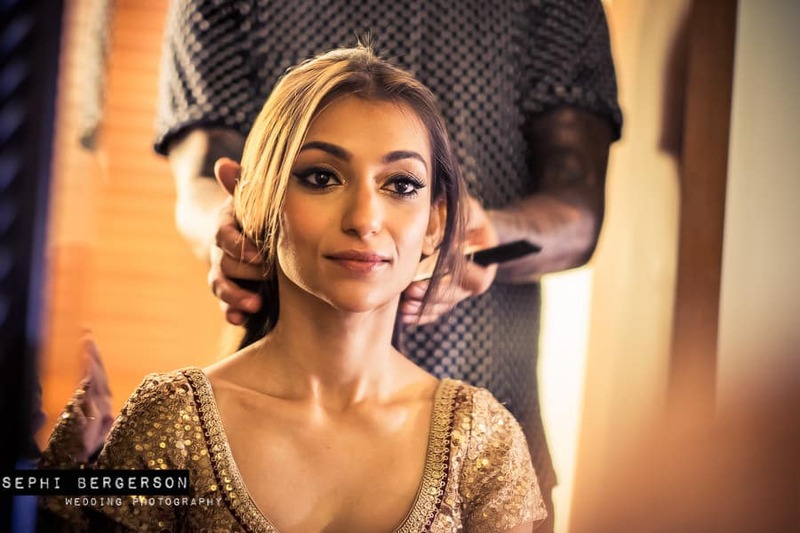 This destination Indian wedding fiesta started with the champagne lunch in the forest. From the colorful origami birds to the white wooden framed mirrors to the chandelier hanging from the tree, we pretty much adored every bit of the décor of the rustic ceremony. 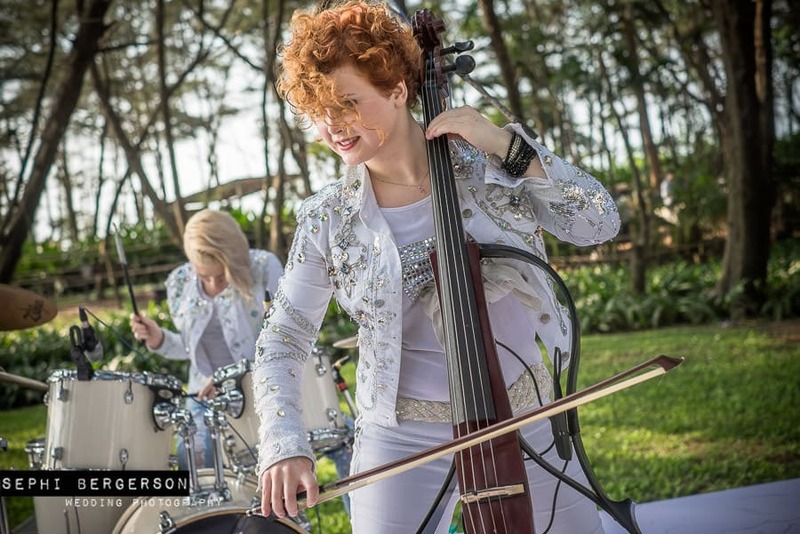 Meanwhile the sounds of cello, violins, drums and tambourines filled the air with lovesome music. 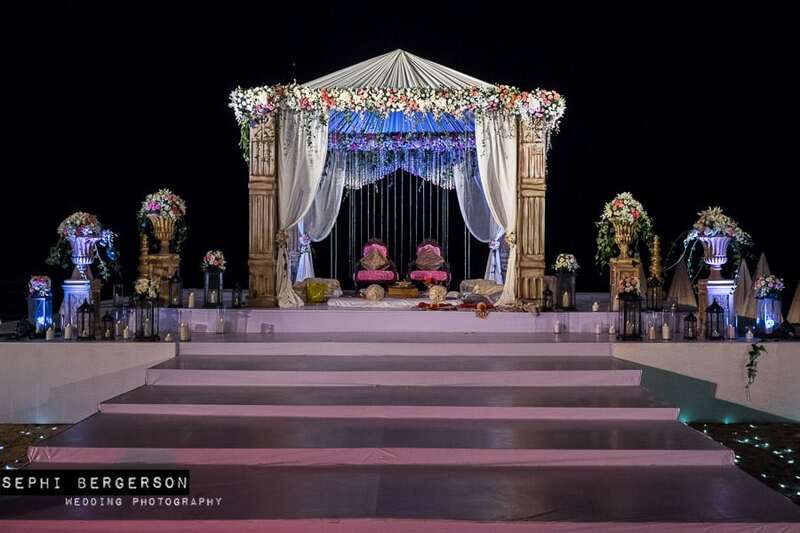 Followed by this were the teeka and engagement ceremonies at the beach. The after party arrangements were made indoors, the décor was glamorous and tad over the top, with the main purpose of event being dancing the night away. The madness level was raised to another level with the performance of musical duo Vishal & Shekhar. 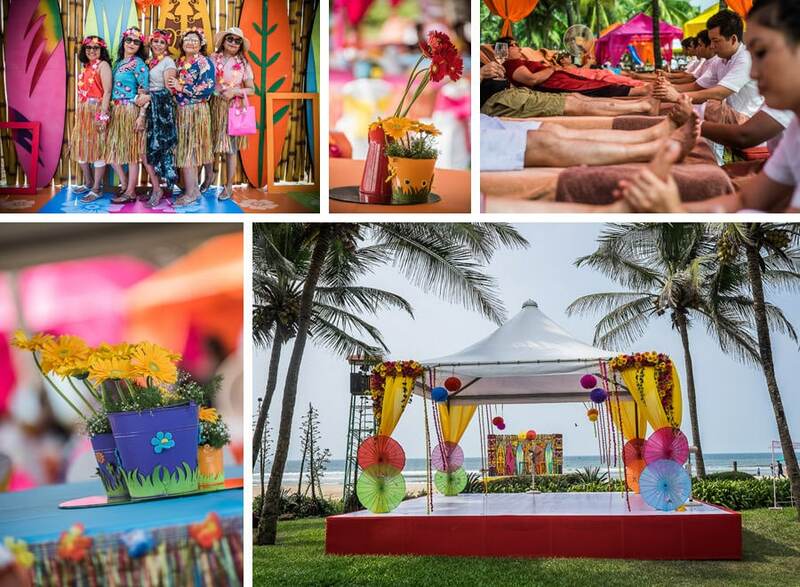 The next day Haldi was a vibrant Hawaiian theme set up with bursts of colours, on the lush lawns lined with giant coconut trees. 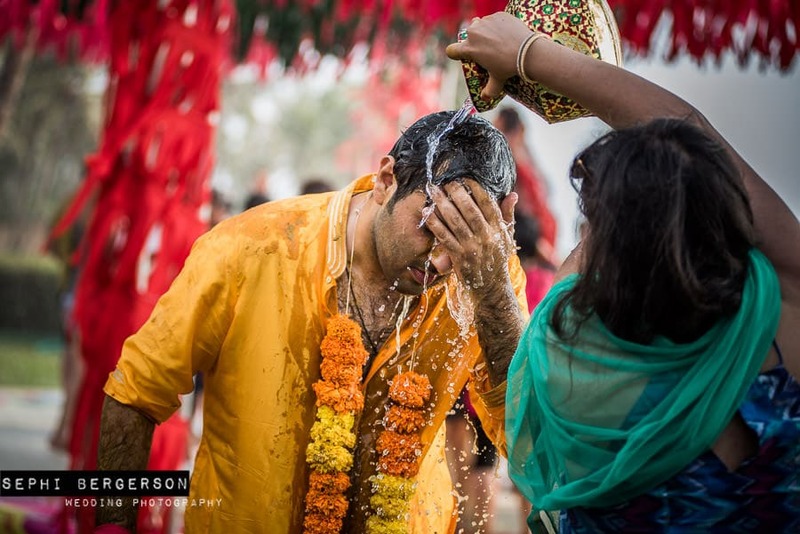 There were foot massage stations and water showers for the rain dance party at this one hell of a Haldi ceremony. And the wedding ceremony by all means was grand, done in true Delhi style! 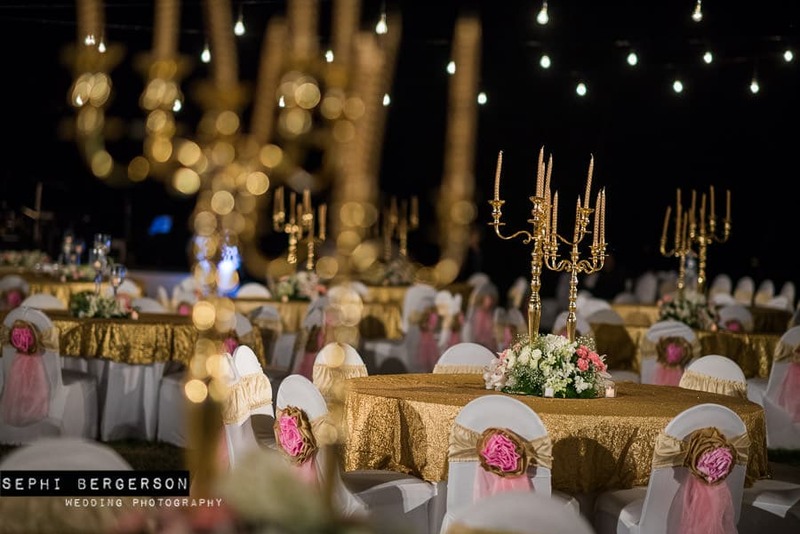 The golden candelabra and the table cloth added zing to the lovely night décor. 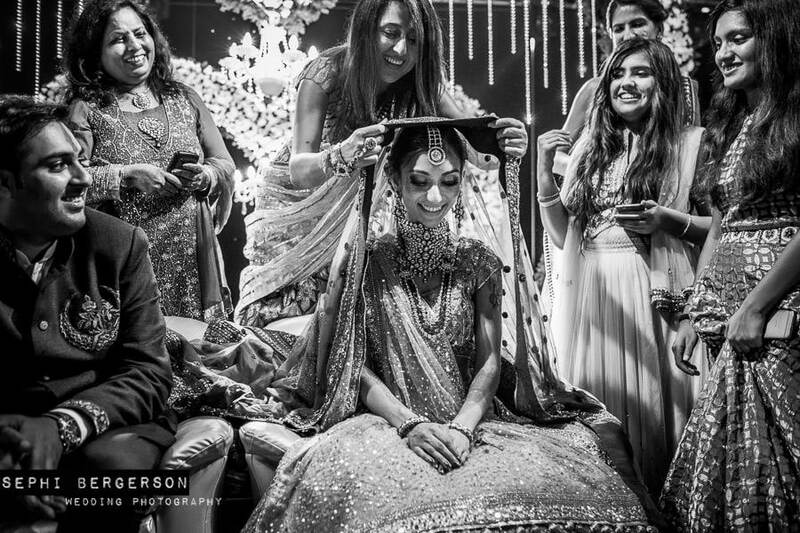 The wedding procession we have been told; was for more than a couple of hours with dancers not showing any signs of weariness. 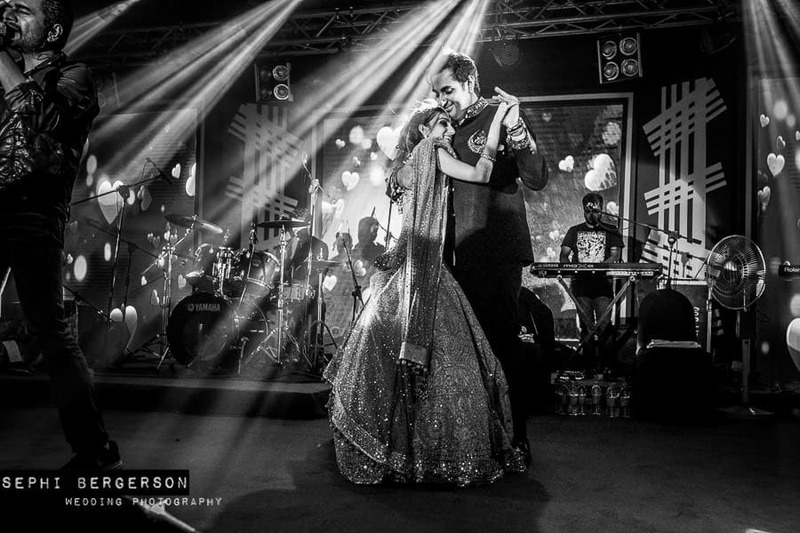 The bride looked a picture of elegance in subtle gold lehenga while the groom looked like he had shots of happiness. 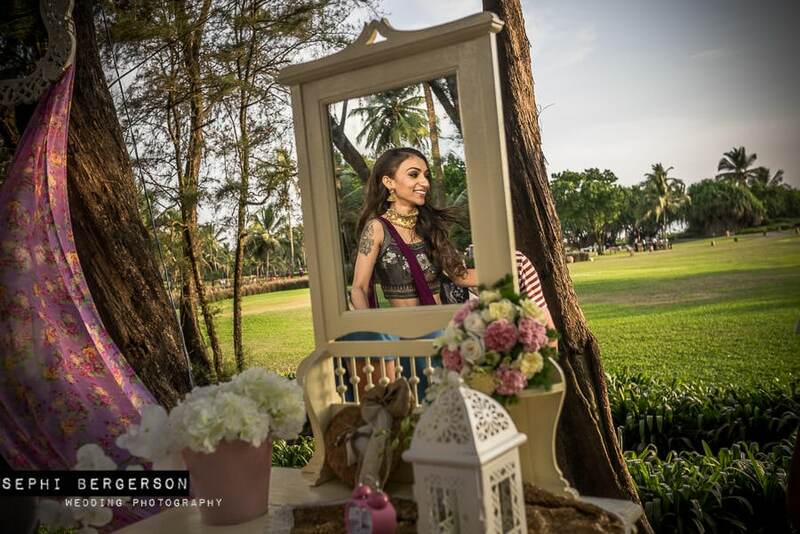 The mirth, the beauty, the madness have been photographed by the Sephi Bergerson and Sunny Pariani of SILK PHOTOS. 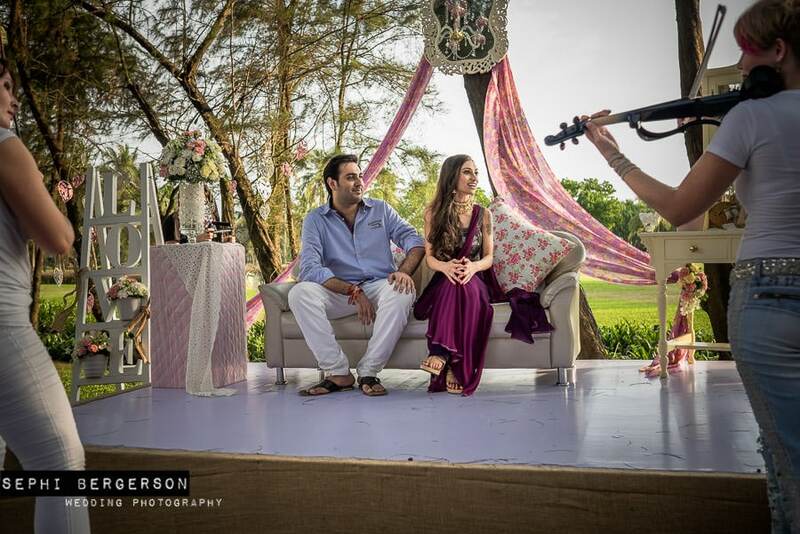 We leave you with the pictures of the Raahil’s and Pia’s Wedding carnival in Goa.